Vajra Light Buddhist Center is a Buddhist meditation center in Hartsdale, New York, that offers instruction in meditation and spiritual practice. Meditation classes at Vajra Light are taught by qualified Western teachers who make the practice easy to understand and apply to daily life. Meditation classes are held on Wednesday nights from 7:30 to 9 p.m., Sundays from 2 to 4 p.m., and once a month on Saturdays from 10:30 a.m. to noon. Pre-registration is not necessary, and everyone is welcome. 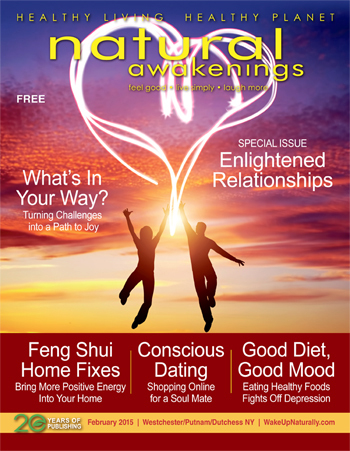 The topic of the next Saturday class is Awakening the Heart, an Introduction to Meditation, on May 18 for a fee of $10. 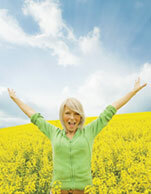 The Sunday series topic in May is Limitless Possibility: Ultimate Truth in Daily Life, and classes are $12. The Wednesday series in May looks at Freedom from Anger: Transforming Problems and Conflict, and classes are $10. At the beginning of each class, teachers guide a gentle, relaxing meditation to help practitioners develop a beneficial motivation for attending. The instructor then gives a practical teaching on some aspect of Buddhist meditation and practice, followed by a discussion and a Q&A period. The sessions end with a guided meditation, designed to take the teaching to heart. Afterwards, those who wish to may talk to the teacher and other students informally. Vajra Light is located at 234 North Central Ave. in Hartsdale, NY. 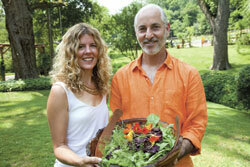 For more info, visit MeditationInWestchester.org or call 914.607.3583. The Ixchel Center in White Plains, New York, presents “Womb Wisdom,” a program to reconnect women with the power of the womb. Women’s health expert Cathy Lipsky, RN, presents an introduction to the program on Saturday, May 11, from 1 to 3:30 p.m., to explain the ancient form of Maya abdominal massage known as the Arvigo Technique. The fee for the introductory workshop is $35 and pre-registration is required. Afterwards, participants will be offered a complimentary mini session with Lipsky, to be scheduled at their convenience. Ixchel Center is located at 308 Battle Ave. in White Plains, NY. For more info, visit HolisticNP.com, contact Cathy@HolisticNP.com or call 914.912.2351. 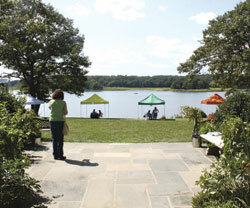 On Saturday, May 11, Teatown Lake Reservation in Ossining, New York, hosts its annual event for avid gardeners. 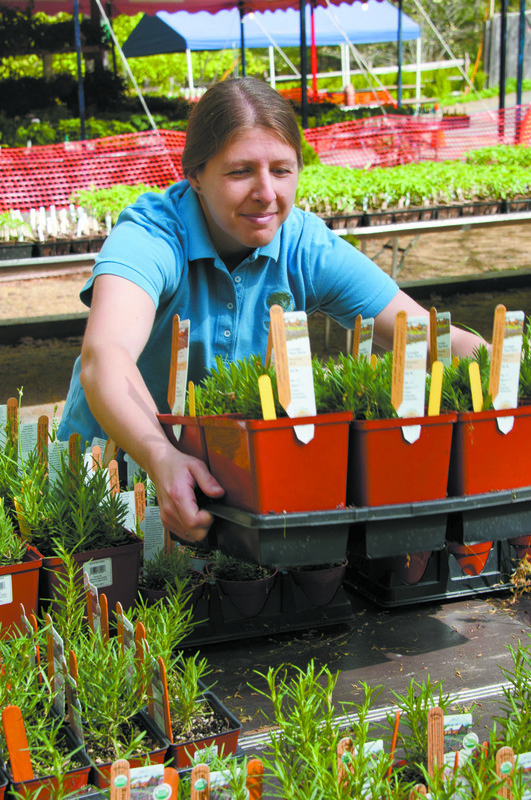 The Teatown Plant Sale features deer resistant plants that are carefully chosen by area growers, along with an abundance of annuals, perennials, hanging baskets, vegetables, herbs and unique native wildflowers. The two-day event opens with a first pick sale on Friday, May 10, from 4 to 7 p.m. for an admission fee of $10 per person. This preview sale offers gardeners the opportunity to survey available plants and make purchases before they are sold out. Afterwards shoppers can unwind with complimentary wine and cheese. On Saturday, admission is free and the sale is open from 9 a.m. to 2 p.m. Teatown staff members and volunteers will be available on both days to answer any and all gardening questions and offer advice on garden placement and step-by-step plant care. The Saturday event also features free tours of Teatown’s Wildflower Island from 10:30 a.m. to 1:30 p.m. Visitors can enjoy the quiet beauty of this two-acre sanctuary, home to more than 230 native and endangered species of wildflowers. Teatown Lake Reservation is located at 1600 Spring Valley Rd. in Ossining, NY. For more information, or to reserve a Wildflower Island tour time, call 914.762.2912, ext. 110, or visit Teatown.org. Earth Angels Veterinary Hospital in Wappingers Falls, NY, is using art to help homeless companion animals and teach about the value of integrative medicine for pets. 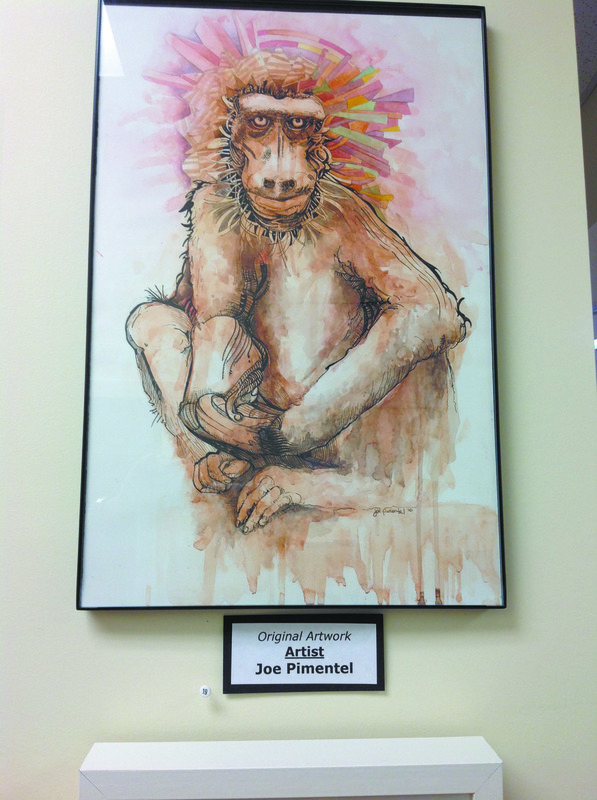 On Saturday, May 4, the hospital opens its doors to the public from 1:30 to 4:30 p.m. for an art show with local artists who will be on hand to discuss their work. It’s also an opportunity for visitors to learn more about integrative veterinary medicine and how it can enhance a pet’s quality of life. The afternoon event features demonstrations and information regarding various aspects of integrative medicine. Anyone who is thinking about adopting a pet will also have the chance to consult with several rescue agencies in attendance. Raffle prizes that day include a free initial laser therapy consultation and laser session for a pet. Food at the event will be supplied by Tomas Tapas Bar and Restaurant. The themes of the original works on display revolve around animals, nature or interactions between the two, reflected in paintings, photographs and masks. While the project and the themes will be permanent at Earth Angel, new works from different artists will be rotated in every few months. Every piece on display will be for sale, and a percentage of all proceeds will be donated to Beacon’s Mid-Hudson Animal Aid non-profit shelter. Earth Angels Veterinary Hospital is located at 8 Nancy Ct. in Wappingers Falls, NY. For more information, call 845.227.PAWS (7297) or visit EarthangelsVet.com. On Saturday, May 18, SunPlugged-on-Hudson will highlight simple and effective ways to reduce energy consumption, reverse environmental damage and ensure best practices for healthy living. This free musical and educational event takes place on a solar-powered sound stage at MacEachron Park in Hastings-on-Hudson, New York, showcasing local bands and such eco-friendly solutions as Biogas, suburban farming, composting, solar electric, LED lighting and biofuels. 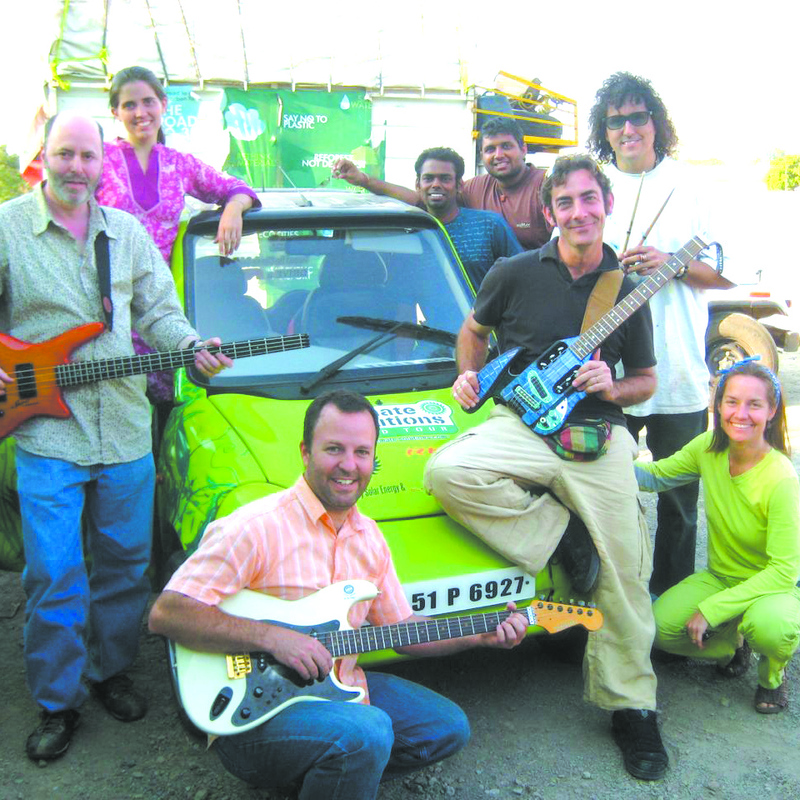 SunPlugged-on-Hudson was conceived after Solar Punch, a solar-powered band from New York, participated in a similar event this year in Mumbai, India. Solar Punch will share the SunPlugged stage with other local talent, including Hope Machine, Julie Corbalis, South County, The Levins and Roshni. The event begins at noon, with demonstrations until 4 p.m. and music until 7 p.m. Picnics are welcome, and light refreshments will be on sale. MacEachron Park is located on River St. in Hastings-on-Hudson, NY. For more information visit SolarPunch.org or call 212.247.5988. On Saturday, May 11, Tilly Foster Farm Museum in Brewster, NY, hosts a health and wellness fair for moms from 10 a.m. to 2 p.m. The event features expert advice on natural techniques to reduce everyday stresses, and practitioners offering services to relieve aching muscles and assist with personalized nutrition programs. Others will be on hand to lead visitors through revitalization exercises, healthful breathing techniques and more. Throughout the day, presenters will give mini talks on stress reduction and relaxation, aging gracefully and natural cooking. Vendors will feature gifts for Mother’s Day, including jewelry, decorative candles in antique tea cups, gift baskets, jewelry boxes, handmade soaps, scarves, paintings, clothing and cooking tools. Tilly Foster Farm is a working farm museum and home to a collection of rare and endangered early American farm animals, including Randall Lineback Cattle, American Jacob Sheep, Narragansett Turkeys, Indian Runner Ducks and American Blue Rabbits. 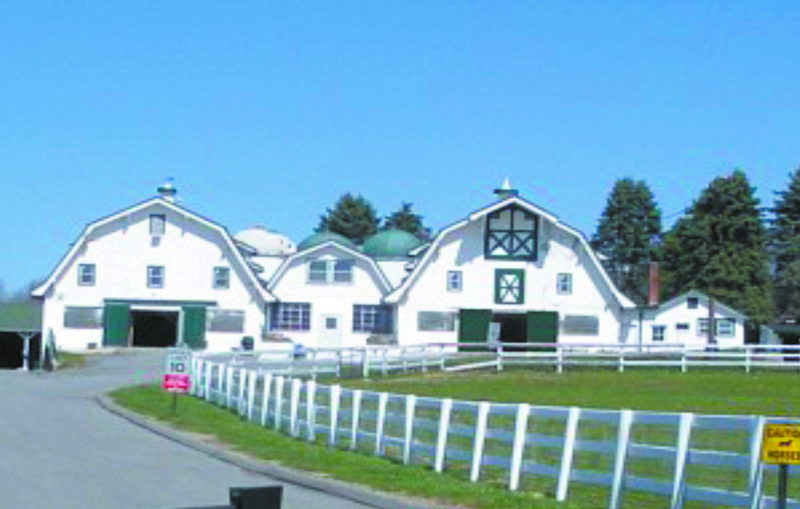 The farm also houses the Putnam County Antique Machinery Association’s display of antique tractors and farm equipment and the Avalon Archives, a unique rock ‘n’ roll museum that opens on weekends from noon to 4 p.m. For a recorded announcement of events, call 845.363.6623. Tilly Foster Farm Museum is located at Rte. 312 in Brewster, NY (between I84 Exit 19 and Rte. 6). For more information, email maw@TillyFosterFarm.org, call 845.306.7798 or visit TillyFosterFarm.org. 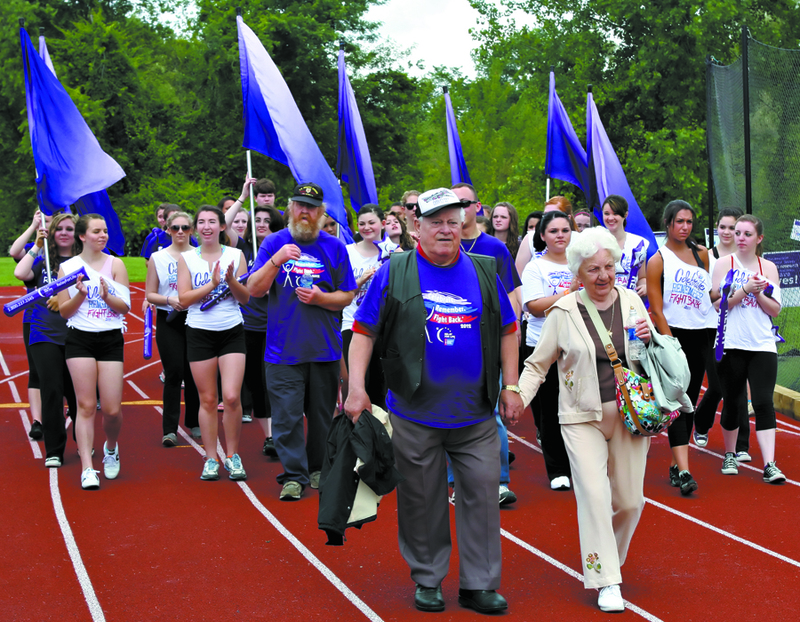 During May and June, local communities will be gathering to celebrate cancer survivors, remember lost loved ones and fight back against all forms of cancer during the American Cancer Society’s Relay For Life events. The gatherings promise family-oriented fun with the goal of raising money to support local residents undergoing treatment, as well as research to end cancer once and for all. Many of the relays span 24 hours, and teams are asked to have at least one member walking around a track for the duration of the event. Each gathering features live entertainment, games, food and moving kick-off ceremonies featuring survivors and luminaria. Some locations will focus on a theme. In Mahopac, activities will be inspired by a carnival. The public is welcome to attend daytime events free of charge and no registration is necessary. Since 1985, Relay For Life has been celebrated in nearly 5,000 American communities and 25 countries. The events are a reminder that those lost to cancer will never be forgotten and those who face cancer will always be supported. They also inspire hope that cancer will be eliminated for good one day. Individual and team registration remains open at RelayForLife.org, which also features event schedules for each location. The seventh annual Colin Leslie Walk for Celiac Disease will be held September 30 starting from Rye (NY) High School at 9 a.m. The event raises funds for research on celiac disease, an autoimmune disease triggered by sensitivity to gluten, a protein found in wheat and other grains. Characterized by diarrhea, weight loss and lack of appetite, celiac disease can lead to intestinal damage and malnourishment if not properly diagnosed and managed. Participants can choose a two- or four-mile walk route. They can also tour a gluten-free vendor fair with more than 30 vendors, buy a gluten-free lunch, and hear a presentation from Dr. Peter Green, director of the Celiac Disease Center at Columbia University. An engine from the Rye Fire Department will be on site for children. All proceeds go to the Celiac Disease Center at Columbia University Medical Center. Colin Leslie, 20, established the annual fundraiser after being diagnosed with celiac disease in 2005. “I decided I wanted to make a difference in the celiac disease community,” he says. “I contacted the Celiac Disease Center at Columbia University and told them that I wanted to host a walk in Rye. They were thrilled and told me to contact the Westchester Celiac Sprue Support Group for help. With these two organizations, we held the first Colin Leslie Walk for Celiac disease in 2006, raising $62,471.73 and attracting over 400 walkers.” To date, the event has raised more than $335,000 and involved more than 3,000 different participants. For information, to register or to donate, visit ColinLeslieWalkForCeliacDisease.org. Wainwright House will host its seventh annual Healing Arts Fair September 30 from noon to 6 p.m. at its grounds on the scenic Milton Harbor waterfront in Rye, NY. For a $15 advance registration fee, visitors to the fair can “sample a little bit of everything,” says Judith Knispel, marketing director for Wainwright House. “The advance registration fee will give you access to Wainwright House’s labyrinth and meditation garden, admission to group meditation, yoga and Reiki sessions, lectures by Marlise Karlin, Rev. Jon Mundy, Jennifer Hadley, Bear Walker, Patti Wood and more,” Knispel says. For an additional $50, visitors can schedule a private, individual session with a healing arts practitioner in Angel Card or Tarot Card readings, Akashic Record readings, Reiki, or psychic arts, among other techniques. “You can purchase lunch and holistic goods from local vendors in our huge marketplace tent,” Knispel adds. “Displays from community organizations and free children’s activities such as sculpture, recycled art and astrology projects will round out the event to make it family-friendly.” The fair will be held rain or shine. Wainwright House is located at 260 Stuyvesant Ave., Rye, NY. For more information or to register, call 914.967.6080 or visit Wainwright.org. Golden Temple Yoga Studio in Katonah, is excited to present a new class this fall, entitled Kundalini Yoga & Art. The class combines creativity with Kundalini Yoga, a blend of postures, breathwork, mantra and meditation as taught by Master teacher Yogi Bhajan. The class takes place on Fridays from 7 to 9 p.m. beginning September 14 and runs for 8 sessions. “This structure allows for a deep connection within, followed by a physical creative expression that appears outside,” says instructor Hardev Kaur. 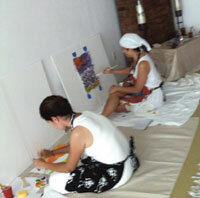 “Practicing Kundalini Yoga and art together has given me a peaceful space for creative expression that I longed for. I’m often surprised and delighted by what comes out in color on the page and I’m called to share this process with others so they might have a similar experience.” Kundalini Yoga is accessible to all fitness levels, says Kaur, and no art experience is necessary for participation. Each participant will take home the artwork created in class. The fee is $25 per class, and registration is requested by writing to info@goldentempleyoga.com. For more information visit Facebook.com/GoldenTempleYoga. Golden Temple Yoga Studio is located at 223 Katonah Ave. in Katonah, NY. For more information call 914.232.3473 or visit GoldenTempleYoga.com. SunRaven in Bedford presents a schedule of fall programs designed to place participants in a state of harmony and flow that will last long after their visit to this center for holistic living. A board certified internist and certified holistic physician, Finkelstein develops programming and events that center on his Skillful Living concept and incorporate the expertise of Finkelstein’s partner Robin Queen, a psychospiritual counselor and licensed holistic aesthetician. Transcendence at SunRaven will unveil a new monthly wellness curriculum this fall, including a Dream Group with Warren Falcon. Monthly Men’s Groups at SunRaven continue this season, as do weekly Women’s Wisdom Groups and a monthly spiritual book group. SunRaven’s monthly Transcendence ReTreat features yoga, a hands-on Skillful Nutrition and Eating demonstration with lunch, and a circle discussion on increasing harmony and balance. There’s also an Integrative Medicine Round Table Study Group for holistic health practitioners, a four-day Group Juice Fast, kirtan meditative chanting, and the Transcendence at SunRaven Open House. Personal consultations with Finkelstein and Queen are offered year-round. Details on fall events at SunRaven can be found at SunRaven.org. See also the Calendar of Events on page 60. SunRaven is located at 501 Guard Hill Rd. in Bedford, NY. 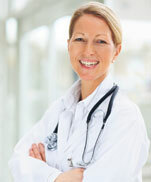 For more info visit TranscendenceAtSunRaven.com, call 914.772.1257 or tweet @SkillfulDoctor. The Divine Compassion Spirituality Center in White Plains, NY, will host a one-day workshop, “Exploring the Power of Your Energy Anatomy,” on September 23 from 10 a.m. to 4:30 p.m. Facilitator Sylvia D’Andrea says she will teach attendees how to work with their personal energy as an alternate way to access their creativity in daily life. 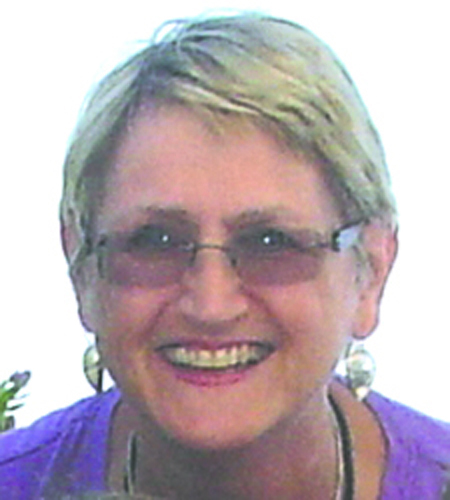 Sylvia D’Andrea is an accredited EMF Balancing Technique practitioner, a certified Tama-Do practitioner and a Tao Yin Fa-Chi Kung instructor. 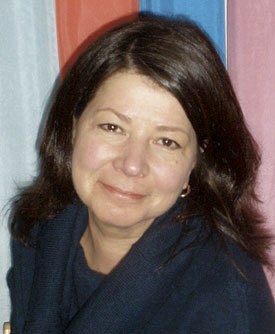 Her practice is in Ramsey, New Jersey, and she also offers workshops in Fair Lawn, New Jersey. For more info and to register, e-mail nrgwkshp@gmail.com.